Average Customer Review: 4 of 5 Total Reviews: 12 Write a review. The dvd doesnt have a meny, so it is hard to find each session and the instruktions are to short and doesnt always show the drill in the exact same way as the reality. Couldn't wait to combine it with my book Spanish soccer drills, I work in the Boston United Centre of Excellence U15s. 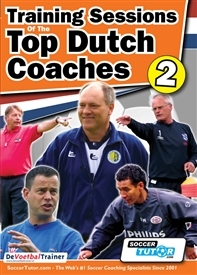 The DVDs was a great training tool, as I use the 4-3-3 and 3-5-2 formation, all drills are with the ball. Have not failed either, good content put together. U can't wait for a volume 3/4.